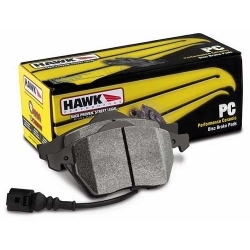 Agency Power braided stainless steel brake lines are of the highest quality and will withstand very high pressure. 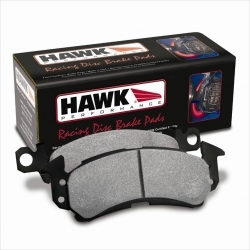 ARK Slotted Brake Rotors will provide a big improvement in stopping power, bring an aggressive appearance. 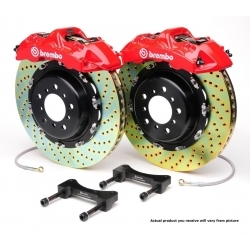 Brembo GT 15" Front BBK has 6 pistons providing a lot of stopping power so you genesis will stop very fast and more aggressive. 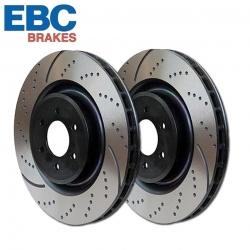 Brembo GT Big Brake Kit 14.4"
Brembo GT Big Brake Kit is one of the top rated BBK kits for your genesis, it's a full front brake upgrade. 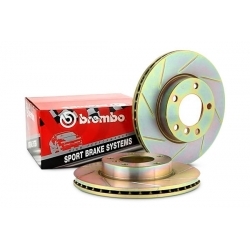 Brembo Slotted Rotors are high performance brake rotors which increase your stopping power dramatically. 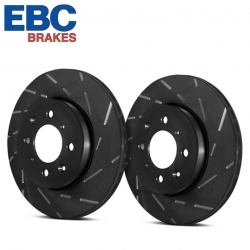 EBC GD Slotted and Dimpled Rotors are directional "Left and Right" which is nearside and offside of your vehicle. 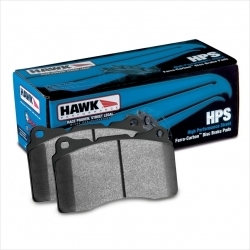 Hawk HPS Brake Pads are meant to be used on your daily driven genesis but will also hold up for occasional track use. 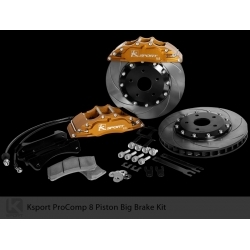 Ksport Front Big Brake Kit 13"
Ksport Front Big Brake Kit is made to satisfy your every need for fast and efficient braking on the street or on the track.